The Living Seas Aquarium is housed inside The Seas with Nemo and Friends pavilion, and it’s massive! It’s so big, in fact, that Spaceship Earth could fit inside it! 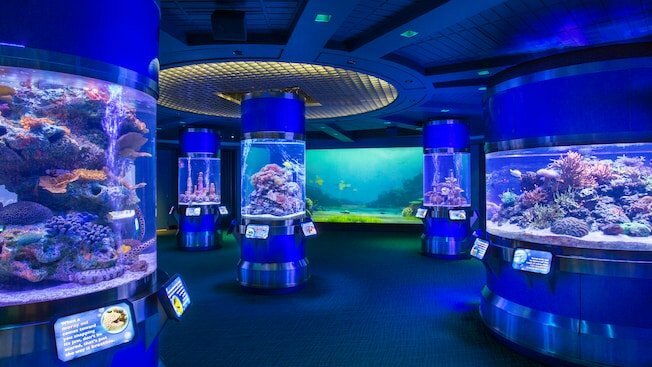 Sea life of every kind is waiting to be discovered at the Living Seas Aquarium. Guests can see sharks, dolphins, sea turtles, multiple kinds of fish and more. How many different sea creatures can you identify?